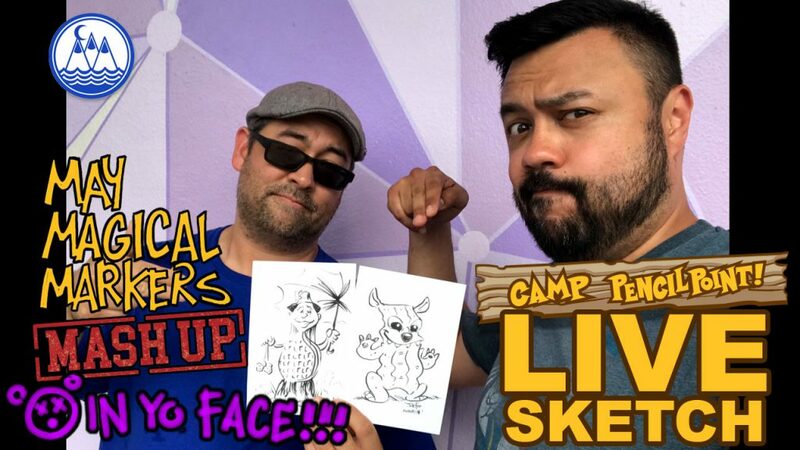 Surprise Live Sketch– This video was streamed live from… Walt Disney’s Magic Kingdom! For one final time, Joe Foo and Chef Miker drew a May Magical Marker Mashup… IN YO FACE! In this sketch, the two artists drew their third favorite Disney characters and mashed together with another character… or should I say… breakfast food! Joe sketched Stitch (from Lil and Stitch) as bacon and Chef Miker sketched a Trader Sam (from the Jungle Cruise) as a waffle. As mentioned earlier, this video was recorded at the Magic Kingdom and the two artists were forced to move around quite a bit because of all the activities. (Again, audio is not the best at all times, so our apologies to your ears.) However, they did manage to get into a few people’s selfies and eventually found a place to get their sketches complete. We would love it if you sketched with us and mashed together your favorite character with your favorite breakfast! This is a ridiculous game, so don’t sweat the end result. The most important part is to have fun as you draw! Let’s see your mash ups! Post your art to social media and use the hashtag #CAMPPENCILPOINT. 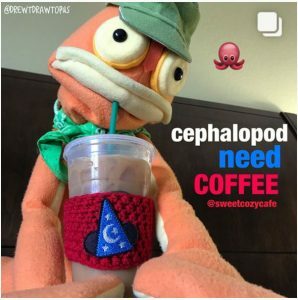 The artists of Camp PencilPoint will keep an eye out for these!